My first decision was the colours…pink and grey. It has been inked and stenciled (using gesso) and stamped on. and used it as my backdrop for the main piece. “Excelsis Deo” which I had seen on Joanna’s blog and I just couldn’t resist getting it. And stamped it onto tissue paper. Tip: heat set it so that it doesn’t bleed out. and pressed together to form a kind of hand-made paper. 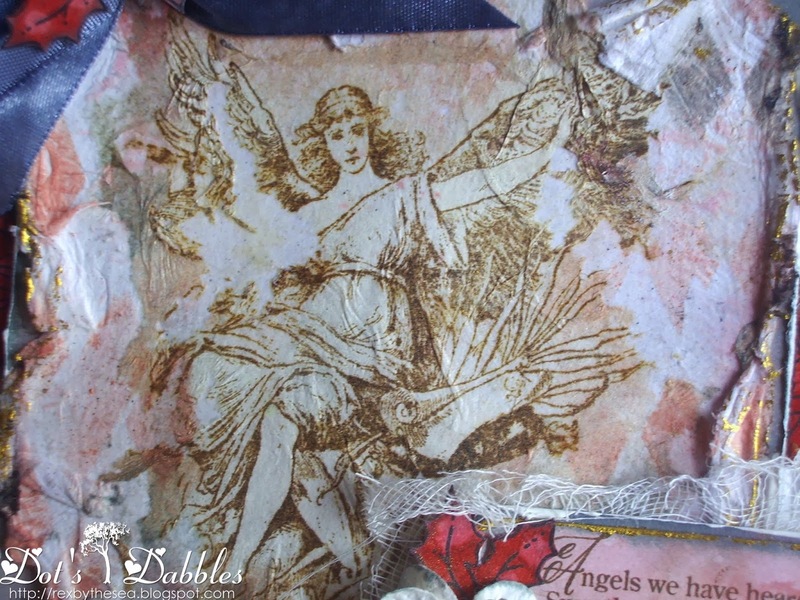 Some more stenciling around it to make the angel stand out more. with my fingers…I love the aged effect that this created. as I wanted the angel to stand out and be the first thing you rest your eyes on. appreciation to those of you who follow my blog!!! Your comments absolutely blow me away. This is beautiful Dot, but I did have a little chuckle over the TP! Such lovely touches and the pink and grey work so well together! Lovely card! Hugs! Just couldn't wait to see this on your blog Dot it is exquisite, divine and very mystical. It is the jewel in your crown hunny. Gloria in Excelsis immediately came to mind Dot. A stunning card which you have shabbier to perfection, I just love the colour palette and the images and layers are exquisitely put together. Stunning card in beautiful colours Dot! Love that wonderful stamp it has such an Italian Renaissance feel to it and I love how you have used it here with all those gorgeous layers. Shabby chic perfection! Wow, that image is a beauty, Its a stunning romantic looking card. 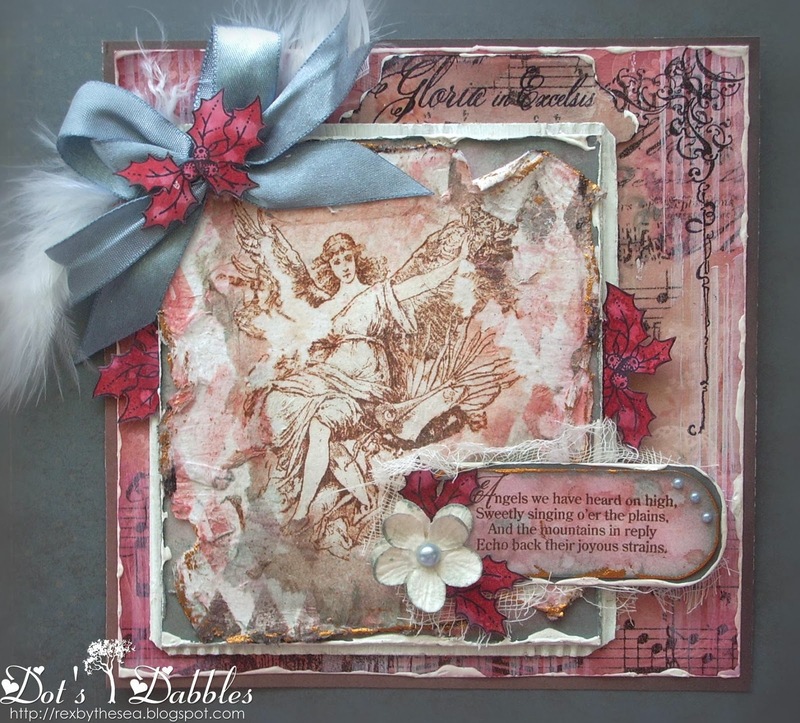 Oh so beautiful… the rosy pinks are like a medieval fresco – gorgeous image, and the surrounding stamping works so perfectly. Love this, Dot! Such a beautiful card, love the colours with this image, as Alison said like a medieval fresco. The shabby chic look is amazing, love that beautiful christmas card. Love your shabby chic card, Dot, absolutely beautiful. What a stunning image! 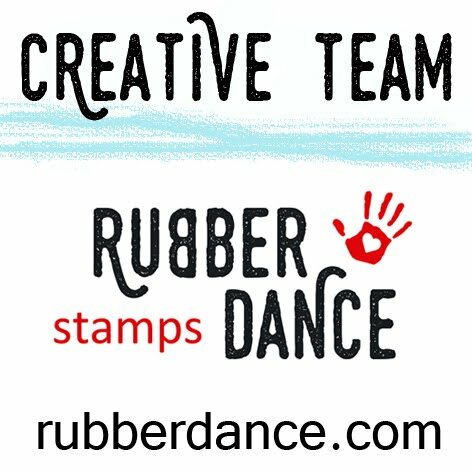 Thank you for sharing it with us at Stamping Sensations this month. Wow – beautiful!! Seriously gorgeous in every way. Thanks for sharing with us this week at ATS&M. So very lovely! Wonderful feather and flower additions. Thank you for sharing with us at Card Crafter's Circle! Your card really is lovely Dot, love everything about it and it's perfect for our theme this month. Thanks so much for joining us at Stamping Sensations challenge. A fantastic card with great elements. Love the color scheme. Dot, this is gorgeous! I always love seeing your creations, they give so much inspiration. A gorgeous card. Thanks for posting on The Cheerful Stamp Pad.